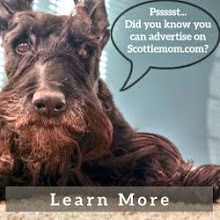 Scottie Mom: Save the Scottie Dog! Today, NBC reported that Monopoly is retiring one of their game pieces forever. Obviously, as a Monopoly fanatic (check out my stylin' Swarovksi Scottie "game piece") and a die-hard Scottie Mom, I was very concerned that the beloved Scottie dog piece would be getting the ax...again! Luckily, Hasbro is giving us Scottie Moms a chance to rally around our favorite game piece and make sure it is safe from elimination! All you have to do is click here to vote and save the Scottie dog Monopoly piece! 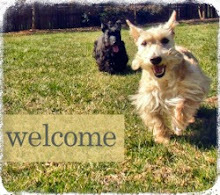 Then, be sure to share this posts with as many Scottie Moms and Dads you can find to make sure our Scottie dog game piece doesn't go to jail. Oh yeah, and you can vote for which of the new pieces you want to see replace the one that gets locked away forever. There's a cat (Mr. K says vote 'No!' to this one), a robot, a guitar (Scottie Dad's choice), a helicopter and a ring (which gets Heather and Scottie Mom's vote!). Then, tune into the TODAY show on Feb. 6 for the big reveal. So, go ahead and get busy saving the Scottie dog monopoly piece! And while you're at it, send a note to Late for the Sky, a production company of specialty board games. They've recently come out with a series of dog breed-opoly games including Shih Tzu-opoly, Mutt-opoly, Boxer-opoly and even Westie-opoly. If our cousin Westies get to have a game, shouldn't the iconic Scotties? (Don't forget the Cairns, too!) I was so disappointed - as I'm sure you are, too - when I discovered these games over the holidays and realized they didn't have one for us Scottie Moms! 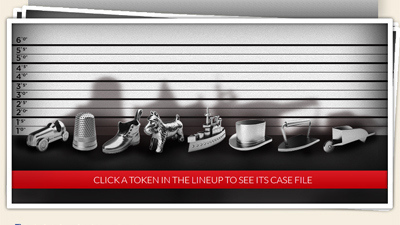 Get rid of the shoe, top hat, boat, thimble and race car. Keep the Scottie. Add the Westie, Airedale, Bedlington, Dandy Dinmont, Norfolk and Irish terriers. Voted :-) And been wishing for a Scottie-opoly too! Thanks, Scottie Mom for posting. Love that Scottie-opoly! Yep, we reported too, at MSD Facebook to get the vote out! For now we think the Scottie dog is safe! Everyone I have polled says the Scottie was the most popular, everyone wants to play the dog token, but keep voting every day!